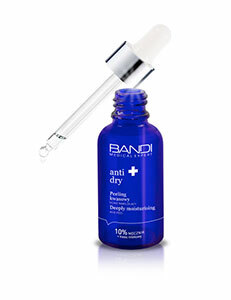 A nourishing formula for sensitive, dehydrated and dry capillary skin. Carefully selected active highly-concentrated substances strengthen capillary walls and protect them against damage. The formula’s rich consistency ensures the restoration of the skin’s natural protective barrier while alleviating the symptoms of roughness, burning and itching, and reducing persistent erythema Regularly used, the formula prevents paroxysmal skin reddening. low-hydrated capillary skin with a tendency to the formation of persistent erythema. The formula should always be used in accordance with the manufacturers indications. The Capillary treatment cream should be used every evening for the night as a cream or 3 times a week as a mask. For best results use with other Anti-Rouge line products.